When it is time to get down to some serious work, you need a space that sets you up for success. 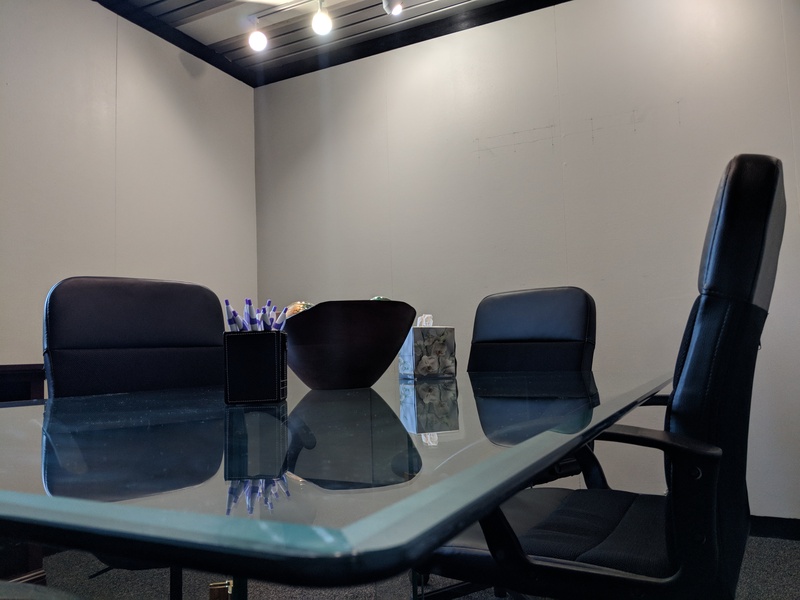 The ThinkTank Conference Room at the PatchWork Collective has the space and technology you need to get your project rolling, and the professional atmosphere you need to satisfy your clients. The ThinkTank is a rectangular space with a thin window facing Marshall, and a drop ceiling to absorb sound. It is conveniently located right next to the copy center, so you can take care of all your paperwork easily. 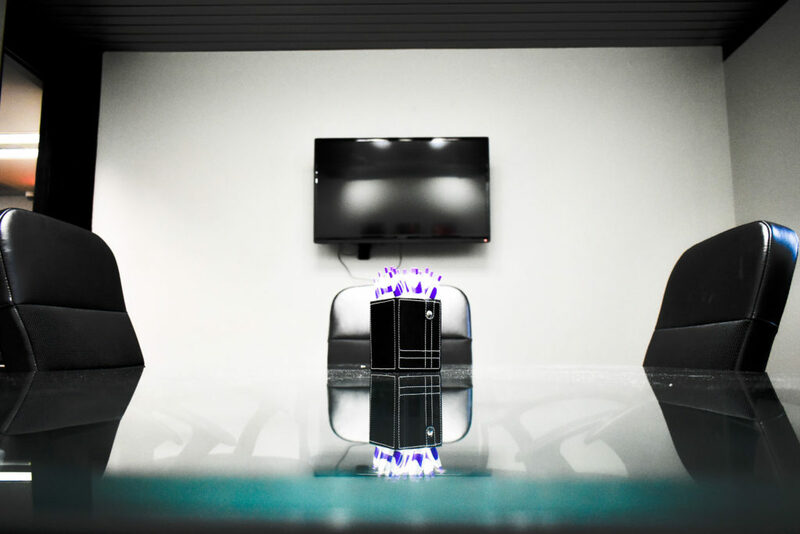 Impress your clients with presentations in the tech-enabled ThinkTank Conference Room. The business world is becoming increasingly hi-tech. As more employees work remotely, conference calls and video conferences are taking the place of the standard meeting. When your team members need to “remote in” to your meeting, we can supply the conference call technology to make it happen. Some transactions deserve a degree of formality. If you are scheduling a will signing or a closing on a home, you don’t want just anyone looking over your shoulder. The ThinkTank provides a formal conference space for your small meeting or document signing. We are happy to provide coffee, tea, and water, and can make any other arrangements necessary to make you and your customers comfortable while you are here. 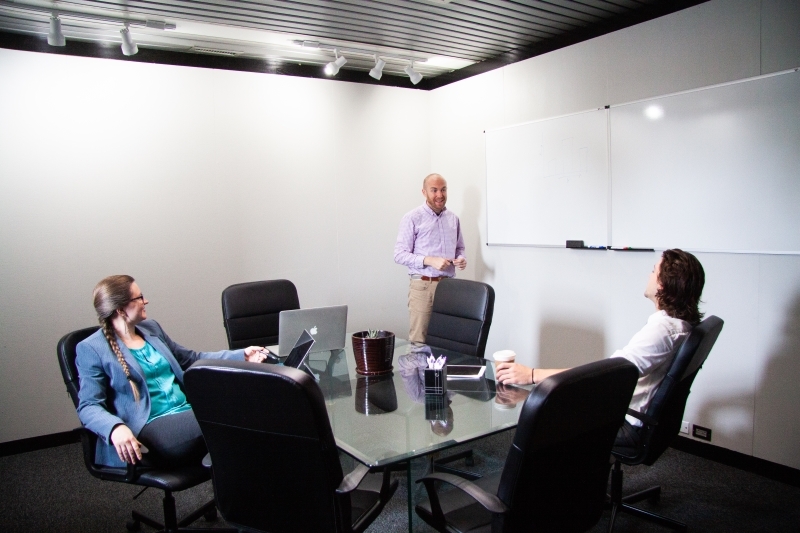 If your meeting or event will need additional amenities or a different arrangement (please note, conference table cannot be moved), or to arrange a for a specific technological need, contact us to see how we can customize the space to meet your needs.